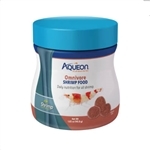 The Aqueon 8.75 Gallon Designer LED Shrimp Aquarium Kit is a great option for first time freshwater shrimp and plant keepers. This kit features a 8.75 gallon glass aquarium with an elevated base and lid with concealed LED lighting. The specially designed QuietFlow 20 Internal Shrimp Filter equipped with an intake grid and pre-filter sponge foam, which prevents shrimp from entering the filter housing. Also included are two 5-pound bags of substrate, water conditioner sachet, setup guide with shrimp and plant recommendations. This kit truly includes the essentials to get you started. 13” x 12” x 18.25”. 8.75 gallon glass aquarium with concealed LED Lighting. QuietFlow 20 Internal Shrimp Filter. Pre-loaded with replaceable small carbon cartridge Filter Instruction Manual (pdf in new window). 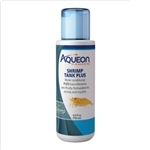 The Aqueon 7.5 Gallon LED Shrimp Aquarium Kit is a great option for first time freshwater shrimp and plant keepers. This kit features a 7.5 gallon glass aquarium with an elevated base and lid with concealed LED lighting. The specially designed QuietFlow 10 Internal Shrimp Filter equipped with an intake grid and pre-filter sponge foam, which prevents shrimp from entering the filter housing. 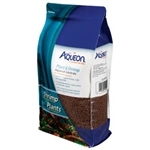 Also included are two 5-pound bags of substrate, water conditioner sachet, setup guide with shrimp and plant recommendations. This kit truly includes the essentials to get you started. 13” x 12” x 14”. QuietFlow 10 Internal Shrimp Filter. Pre-loaded with replaceable small carbon cartridge Filter Instruction Manual (pdf in new window).